I was born into this breed! My dad brought home a Dobe from WWII and they had a red female named Lady and had a litter. So there goes I. I have been showing and breeding for over 40 years in Bennington, VT under the name of "Mick Rick Dobermans". To date, I have 16 champions, many obedience and other titles. I am a member of DPCA and UDC. 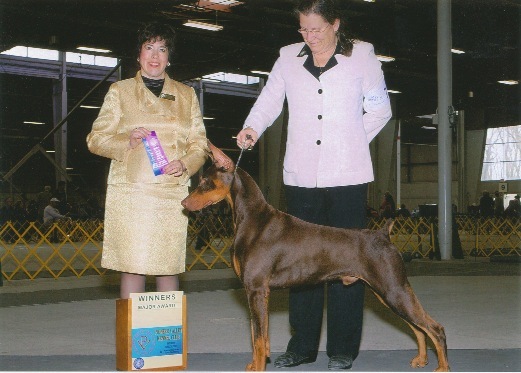 I have judged many breeds and Dobe specialty sweepstakes. Currently, I have 2 Champion males and 2 females almost finished and plan on a litter in Spring, 2014.